Bluewater Boats Limited was established in 2002 by husband and wife team David and Sharon Warner. Prior to setting up Bluewater Boats Limited David had been working as a fabricator within the boating industry. After several years David became aware of the need for customers to oversee every stage of the construction within one company, so Bluewater Boats Limited was created. 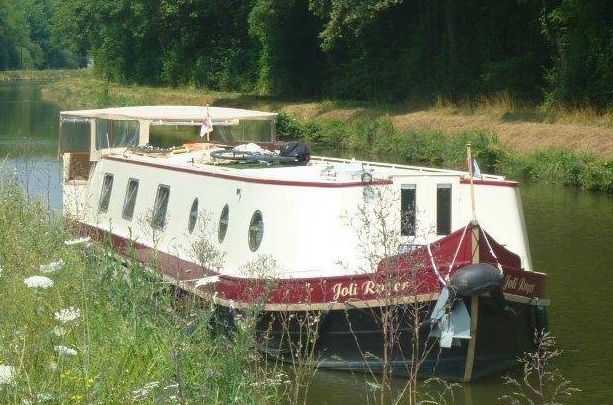 During the last 16 years we have completed bespoke narrowboats, bespoke wide-beams, bespoke Dutch Barges – wide and narrow beam and bespoke Thames Launch’s all fulfilling the specific needs of our individual customers. It is during this time we have grown from a father and son team to becoming one of the most admired and remarkable boat builders within the UK. Bluewater Boats is still family managed, although we do employ other staff members who specialise in their respective professions, of whom all have many years boat building experience. We offer hulls, sailaways, lined sailaways and bespoke fully fitted boats. Whatever you require rest assured you can be confident that each and every boat we build is built by our dedicated and experienced staff within our Warwickshire site, where our customers can view their boat at any time they would like, from base plate to sign writing. It is because of our attention to every detail and incomparable quality we secure regular contracts from our trade customers and our envious reputation makes us the first choice with private customers too. We are a family run business who offer a friendly, personal service to each and every one of our customers, many of whom we still keep in touch with on a regular basis years after their boat has left us. Bluewater Boats Ltd has appeared twice on ITV’s Waterworld. Once in 2006 with a bespoke Dutch Barge ’The Cats Whiskers’ followed by another bespoke Dutch Barge ’Charmor’ in 2007. We would be delighted to discuss your requirements and offer our quotation. You are always welcome to visit us and see our work in progress. OF COURSE YOU WILL WANT TO COME AND SEE FOR YOURSELF THE QUALITY OF OUR BOATS, REST ASSURED THAT A WARM WELCOME AWAITS YOU HERE. Please see our very recent article in the DBA magazine ‘Shensi’ on the Shensi page and the boat test page.